Dan Dooley is one of the founding partners of Dooley Lucenti Barristers & Solicitors in Barrie. He has a wide range of mediation, tribunal, trial and appellate experience. 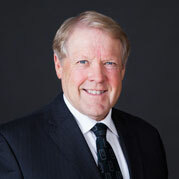 His tort work includes professional negligence and personal injury defence litigation, fires, contamination spills, construction disputes, mortgage remedies and general litigation. His insurance work relates to title insurance opinions, remedies and litigation and insurance coverage opinions relating to the duty to defend and policy language interpretation. Dan has been counsel of record in over 50 reported judgments. Dan successfully completed the Advanced Mediation Workshop in Mediating Complex Disputes, an Executive Education course in the Program on Negotiation at Harvard Law School. Dan has been officially named on the Best Lawyers in Canada list for 2016 and 2017. Since 1996, Dan has served as a Deputy Judge of the Small Claims Court. ● Kelland v. Hardestine Holdings Limited, (2008) ONCA 537, 168, A.C.W.S. (3d) 275, 2008 CarswellOnt 3961. ● Kelly v. Dosch (2005), 32 R.P.R. (4th) 45, 2005 CarswellOnt 1177, 2005 CanLII 8669 rev’ing 2003 CanLII 9855 (S.C.J.). ● Alleyne v. Gateway Co-operative Homes Inc., (2001) CanLII 28308 (Ont. S.C.J.). ● Peddle v. Ontario (Minister of Transportation), (1998) CarswellOnt 4975, 1998 CanLII 17724 (C.A.). ● Severn (Township) v. 934335 Ontario Ltd. (1994) 23 M.P.L.R. (2d) 301. ● Forbes v. Thurlow (1993) 23 C.P.C. (3d) 107; leave to appeal refused 49 A.C.W.S. (3d) 706. ● Johnstone v. Harlequin Enterprises Limited (1991) 36 C.C.E.L. 30; (1991) 91 C.L.L.C., para. 14,025 at 12223. Sabrina Lucenti is a partner at Dooley Lucenti. Sabrina’s litigation practice is focused on insurance defence litigation, including professional negligence, motor vehicle defence, title insurance matters, occupier’s liability, commercial host liability, contamination spills and fires and sexual assault claims. Sabrina obtained her Honours Bachelor of Arts from the University of Toronto. Sabrina attended law school at Bond University, in Gold Coast, Australia. While at law school, Sabrina also studied abroad at the East China University of Politics and Law, in Shanghai, China. Sabrina was called to the Ontario Bar in 2009. Sabrina is an active member of The Advocates’ Society and a regular contributor to their digital publication, Advocacy Matters. Sabrina is the Northern Ontario Chair of the Canadian Defence Lawyers’ Women’s Caucus. She is also a volunteer lawyer with the Child Advocacy Project – a pro bono program which helps to protect the education rights of low income children across Ontario. In 2015, Sabrina brought the Law Society’s Lawyers Feed the Hungry program to Barrie. She is a regular volunteer and fundraiser for the program. Sabrina is a member of the: Ontario Bar Association, The Advocates’ Society, Canadian Defence Lawyers and DRI – The Voice of the Defence Bar. Sabrina is the 2nd Vice President of the Simcoe County Law Association and is also a member of the Nipissing Law Association. Eric is a partner at Dooley Lucenti whose practice focuses exclusively on commercial litigation with an emphasis on construction and employment law. Originally from New Brunswick, Eric received his B.A. from York University in 1993 and his LL.B. from the University of Ottawa in 1996. Eric completed his articles in Ottawa and was called to the Ontario Bar in 1998. 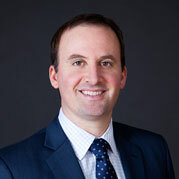 Eric practiced civil and commercial litigation in Ottawa before returning to Barrie in early 2000. On the construction side of his law practice, Eric provides legal advice to owners, mortgage lenders, engineers, architects and other consultants, contractors, trades and surety (bonding) companies involving all aspects of construction projects including contracts, tendering, bonding, dispute resolution, progress payments, hold back and trust obligations, construction liens, deficiencies, warranties and collection of unpaid accounts. On the employment side of his law practice, Eric provides legal advice to employers and employees regarding the drafting and enforceability of employment contracts, workplace policies, employee disciplinary issues, human rights and accommodation issues, employment standards obligations, termination (severance) packages, wrongful dismissal, fiduciary and employee duties, non-competition or non-solicitation agreements. 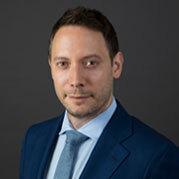 Although a smaller portion of his overall practice, Eric does provide advice and litigation service to his business clients on a wider range of legal issues, including various contractual disputes, debtor & creditors’ rights and remedies. Eric and his wife (Cari) have two beautiful daughters – one that attends University and one still in high school. In his (limited) spare time, Eric enjoys watching and playing different sports including golf, motocross racing and hockey. David is a partner at Dooley Lucenti and practices in the areas of corporate and commercial law, real estate and wills and estates. David obtained a Bachelor of Arts from the University of Western Ontario, with a major in Political Science and attended law school at Bond University in Gold Coast, Australia where he graduated with First Class Honours. 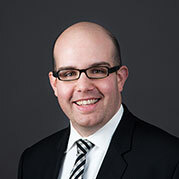 David moved to Barrie in 2008 when he articled for Purser Dooley Cockburn Smith LLP. He was called to the Ontario Bar in 2009. David was born and raised in North Bay, Ontario and continues to serve clients in the area. Prior to practicing law, David pursued a career in finance. In his spare time, David enjoys golfing, playing hockey and traveling. David is a member of the Canadian Bar Association and the Simcoe County Law Association, where he currently holds the position of Vice-President. Samantha is an associate lawyer practicing primarily in the area of insurance defence with an emphasis on motor vehicle accidents, slip and falls, occupier’s liability, sexual abuse and insurance coverage disputes. Samantha was born and raised in Simcoe County and has deep roots in the community. She earned a Juris Doctor from Osgoode Hall after completing her Bachelor of Arts at Laurentian University’s Barrie Campus. 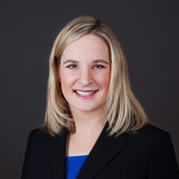 Samantha articled with Purser Dooley Cockburn Smith LLP before being called to the Ontario Bar in 2010. Samantha has appeared before, and successfully argued motions in, the Ontario Superior Court of Justice. She is a member of the Canadian Bar Association and The Advocates’ Society. She has in the past served on the board of directors of the Simcoe County Law Association. Samantha is an animal welfare advocate and spends her spare time volunteering with local animal shelters. Robert is an associate who practices in the areas of corporate and commercial law, real estate, and wills and estates. Working the past few years in the Niagara Region, Rob relocated to the Barrie area in 2017, eager to return home to family and friends and create strong ties and relationships within the Simcoe County community. Rob obtained his undergraduate degree at Queen’s University earning a Bachelor of Science (Chemical Engineering) from the Faculty of Applied Science. Rob went on to earn a Master of Applied Science (Chemical Engineering) from the University of Western Ontario. Finally, Rob attended law school at the University of Western Ontario where he obtained his Juris Doctor. 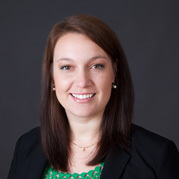 Jessica is an associate lawyer at Dooley Lucenti. Jessica practices in the areas of employment and human rights law, professional negligence and personal injury defence litigation, and commercial litigation. Born and raised in Penetanguishene, Jessica is pleased to return to live and practice in Simcoe County after living in Vancouver for 10 years. While in Vancouver, Jessica was in-house Legal Counsel to the BC Human Rights Tribunal for eight years. Jessica frequently represented the Tribunal as counsel in matters before the British Columbia courts, and has appeared several times at the Court of Appeal and once at the Supreme Court of Canada. Jessica mediated human rights complaints, helping the parties to craft innovative resolutions of often complex and emotional disputes. Jessica’s responsibilities also included providing procedural and substantive legal advice to the Tribunal’s decisions makers and staff, and policy work. Jessica served as Acting Registrar for approximately seven months. As Registrar she supervised the Tribunal’s staff and oversaw all aspects of the Tribunal’s case management operations. Prior to joining the Tribunal, Jessica practiced labour and employment law in Vancouver, and employment law, professional negligence and personal injury defence litigation, commercial litigation and family law while living in Ontario. Jessica obtained her Juris Doctor from University of Toronto. After law school, Jessica served as a judicial law clerk where she provided assistance to five judges of the BC Supreme Court, gaining unique insight into the judicial process. Prior to law school, Jessica attended McMaster University where she majored in Political Science and participated in the Theme School on International Justice and Human Rights. In her spare time, Jessica enjoys spending time outside and trying to keep up with her young daughter. Gerald E. Norman (“Jerry”) was born in Barrie to parents Edwin and Helen Norman who operated Allandale Hardware for many years, originally on Essa Road and later on Minet’s point Road. He has two older brothers Bob and Bill. Jerry graduated from Barrie Central Collegiate in 1966 and received both his Bachelor of Arts degree in Psychology/Sociology (1968) and his Bachelor of Law degree (1971) at the University of Western Ontario. Jerry and his wife Carol were married in 1971 and settled in his home town to carry on the practice of law as a sole practitioner, focusing on Real Estate Law (Residential and Commercial), Wills and Estate Law (Wills, Estate Planning and Estate Administration) and Business Law (Incorporations, Small Business Agreements and advice regarding the purchase and sale of business assets or shares). Jerry’s leisure time is spent with his family: Carol and their two grown children, Joe and Jenny, as well as pursuing fitness interests such as: running, bicycling, boating, golfing and skiing. Jerry is an active member in the community and has served on the boards of directors for the Huronia Concert Orchestra, Barrie Yacht Club, Hawkestone Yacht Club, Kempenfest (Chairman 2000-2001) and The Rotary Club of Barrie (President 2007-2008) and is currently on the Board for Cope Service Dogs. Jerry merged his practice with Dooley Lucenti January 1st, 2014. Our combined firms will continue their respective practices. All clients of Gerald E. Norman law office will continue to be served by Jerry and his staff at the offices of Dooley Lucenti located at 10 Checkley Street, Barrie. For almost thirty years Kim has been a practicing lawyer and advocate. Kim has appeared at all levels of court in Ontario including several appearances at the Court of Appeal. Kim has been elected by her professional colleagues as a member of “Best Lawyers in Canada” each year for almost a decade and is one of only two family law lawyers north of Toronto to be “Lexpert” certified. Kim is known for her passion for client satisfaction and professional representation. Kim has a special and recognized skill in settling complicated property disputes, including corporate valuation and property division issues. Kim and her team are prepared to leave no stone unturned to ensure she does her best to meet her client’s expectations. Since 1995, Kim has been a mediator and has been certified by the Ontario Association of Family Mediators (OAFM). Kim is a certified family and generic Arbitrator. 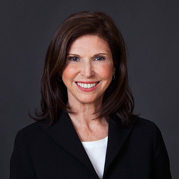 Kim’s focus is currently moving to access to justice issues including alternative dispute resolution – using negotiation, mediation and arbitration rather than the litigation system to resolve difficult disputes. Kim is available as a mediator or arbitrator or to represent clients in these proceedings. In her spare time, Kim is a dedicated volunteer and has been a member of several non profit Boards in Barrie. Kim enjoys skiing, road cycling and is currently preparing for her third triathlon, by being a member of “Joes Team” – a triathlon campaign that has raised over ten million dollars in charitable funds for neck and head cancer research at Princess Margaret Hospital over the last ten years. 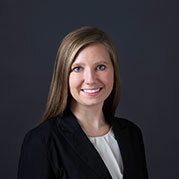 Ainsley is an associate who practices family law at Dooley Lucenti. Ainsley completed her articles at Dooley Lucenti and returned to the firm as an associate following her call to the bar in 2017. Ainsley was born and raised in the Greater Toronto Area. She graduated from the J.D. program at Queen’s University in 2016. Prior to law school, Ainsley obtained a Bachelor of Science (Honours) degree from Queen’s University where she majored in Life Sciences. During law school, Ainsley participated in the Queen’s Family Law Clinic, Queen’s Legal Aid and was the Program Co-ordinator for the Family Law Clinic’s Pro Bono Students Canada volunteers. Ainsley also participated in the Walsh Family Law Negotiation Competition. Ainsley is a member of the Ontario Bar Association and is a Level I Member of the Canadian Ski Instructors Alliance. In her spare time Ainsley enjoys skiing, golfing and hiking. Scott is a partner at Dooley Lucenti who has practiced commercial litigation in Simcoe County since his call to the bar in 2000. Scott focuses his practice on providing litigation advice and representation with respect to commercial issues and business disputes. 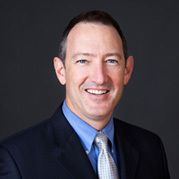 Scott’s primary areas of practice include construction liens and construction related litigation, contractual disputes, mortgage enforcement, creditors rights and remedies, shareholders rights and remedies, and commercial lease disputes. 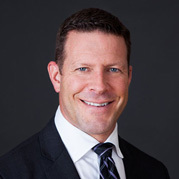 Scott has taught construction law seminars through various construction Associations, as well as through Georgian College and the Ontario Bar Association. Scott was born and raised in Cambridge, Ontario. He obtained a Bachelor of Arts and Master of Arts from the University of Guelph, after which he attended law school at the University of Ottawa. 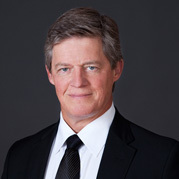 Scott articled with Gowlings in Toronto and was called to the Bar in 2000. Scott’s personal pursuits include mountain biking and road cycling, hockey, skiing and golf. Scott is a member of the Ontario Bar Association, the Advocates’ Society and is a Level III Member of the Canadian Ski Instructors Alliance. 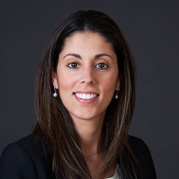 Lija is an associate lawyer at Dooley Lucenti, practicing in the insurance defence litigation group. Lija obtained her Honours Bachelor of Arts degree from Queen’s University in Psychology in 2010. She then completed her Juris Doctor at the University of Windsor in 2014. In her third year of law school, she studied abroad for a semester at Keele University in England. Lija has broad civil litigation experience, focusing primarily on claims involving motor vehicle accidents, professional negligence, property loss, product liability, and occupiers’ liability. She has appeared before the Ontario Superior Court of Justice, the Financial Services Commission of Ontario, and the Ontario Small Claims Court. Lija is a member of the Ontario Bar Association, the Advocates’ Society, the Simcoe County Law Association, and the Canadian Defence Lawyers. Lija has a love for the outdoors, and enjoys travelling, skiing, hiking with her dog, and attending concerts in her spare time. 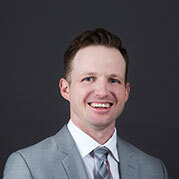 Joshua is an associate at Dooley Lucenti who works primarily in the area of civil litigation and insurance defence with exposure to a wide range of claims including property, motor vehicle, construction, casualty, social host liability, subrogation, environmental contamination and privacy. Joshua joined Dooley Lucenti after spending six years at an insurance litigation boutique. Prior to being called to the bar, Joshua clerked for the Ontario Superior Court of Justice providing legal research to the judiciary and bench memoranda for the Divisional Court. While clerking, he served on the local branch of the Ontario Justice Education Network. Joshua gained exposure to a broad range of legal matters through his summer experience in the litigation department of a Bay Street law firm and at a poverty law clinic. Andrew was born and raised in Ajax, Ontario and obtained his Bachelor of Arts, Honours Specialization in Political Science, degree from the University of Western Ontario in 2008. Andrew would then graduate with honours from Bond University Law School in Gold Coast, Australia in 2011. Prior to joining Dooley Lucenti, Andrew practiced Creditors’ Rights law, primarily representing major federally-regulated financial institutions. He has appeared before the Ontario Superior Court of Justice and the Ontario Small Claims Court.In his spare time, Andrew enjoys hockey, golf and spending time with family and friends. Sabrina Lucenti is a partner at Dooley Lucenti. Sabrina’s litigation practice is focused on Civil Litigation, Insurance Litigation, including subrogation and coverage, Property claims, including host liability, contamination spills and fires, and Sexual Assault. Prior to law school, Sabrina obtained her Honours Bachelor of Arts from the University of Toronto, majoring in Political Science, with minors in Sociology and Italian Studies. Sabrina attended law school at Bond University, in Gold Coast, Australia and was called to the Ontario Bar in 2009. While at law school, Sabrina also studied abroad at the East China University of Politics and Law, in Shanghai, China. Sabrina currently sits on the executive of The Advocates’ Society Personal Injury and Insurance Law Practice Group and is a volunteer lawyer with the Child Advocacy Project. Sabrina is a member of the: Ontario Bar Association; The Advocates’ Society; Canadian Defence Lawyers; and DRI – The Voice of the Defence Bar. She is an active member of the Simcoe County Law Association, including establishing the Barrie Lawyer’s Feed the Hungry program in 2015. Sabrina is also a member of the Nipissing Law Association.